I never get tired of looking at this image. 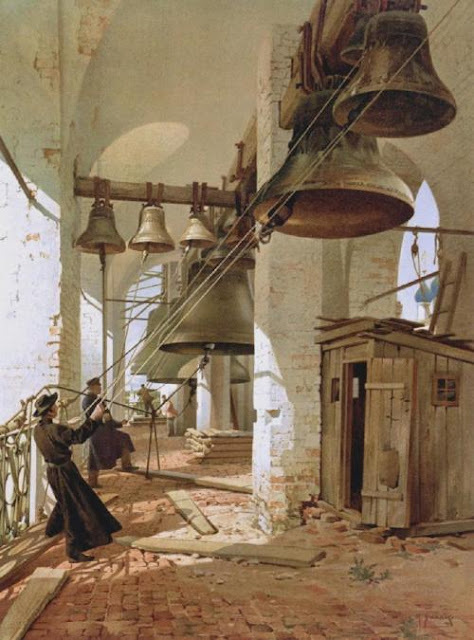 How big this bell tower must be to house all these bells. And who are the people ringing them? And how secure is the floor with all those bits of timber? And how do they get those heavy bells up so high with only manual labour?